I remember growing up I always wanted to be a photographer. I would take my family’s little camera with its rolls of carefully inserted film, and snap shots of everything and anything. My happiest moments were during special events and family parties when my relatives would smile with fond tolerance as I interrupted their conversations to get a picture. My skill was always barely passable, as can be expected for a small child with no training. As I grew, my interest in photography waned, especially given the huge amount of effort and expensive equipment that was required to take it into even hobby territory. Nowadays things have changed a lot. Anyone with a smartphone and Instagram filters can make something pretty presentable. Which is good news for people who want unique, professional level photographs for their website without the skill or money involved in going full pro. It is all about understanding how creative images for websites are made, or where they can be found. Sites like Dollar Photo Club, Fotalia and Death To The Stock Photo are just a few of many examples of awesome photo sites that are popping up all over the web. They maintain a higher standard, often presenting magazine grade images for cheap. Notice that I didn’t say free. If you want good stock images you can actually use to enhance your website, you need to be willing to pay for them. You can either do this photo by photo if it is simple for a web design, or as a subscription service for regular content. Text overlays are popular for two reasons: they are easy, and they work. There is no simpler method of instructing users on how to use your mobile app, or gently nudging them towards converting to a premium service or buying a product. Best of all, it does it in a way that they now expect; users prefer text overlays to cumbersome demos and annoying voice overs or How To sections. You can use Canva to easily overlay any image you buy with an eye-catching text. To save time, always keep a quality image source handy. I prefer this one to quickly find an image to use in the background. Instagram has made filters a pretty standard element of taking images. But if you aren’t on the social network, you can get other apps on your mobile device that give you filters and let you edit images before posting or sending them, all in high resolution. 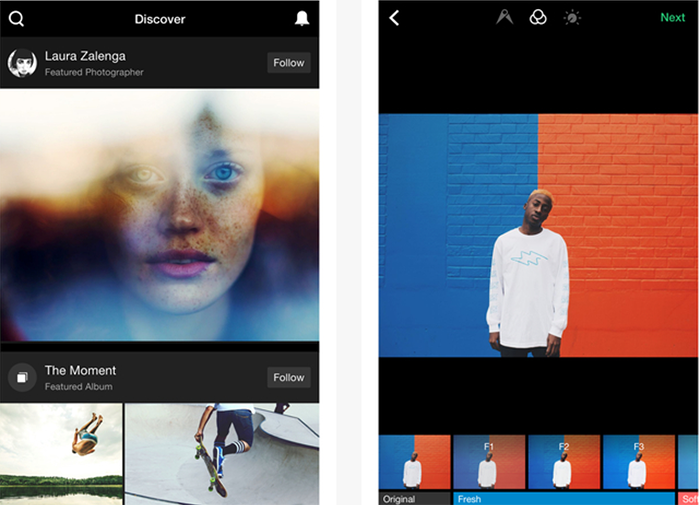 EyeEm is one popular option, available for Android and iPhone. But you have hundreds at this point to choose from. Your best bet is to try a couple and play around with them to see which work best for you. Make sure they don’t include a watermark. First Site Guide lists many more cool apps here. 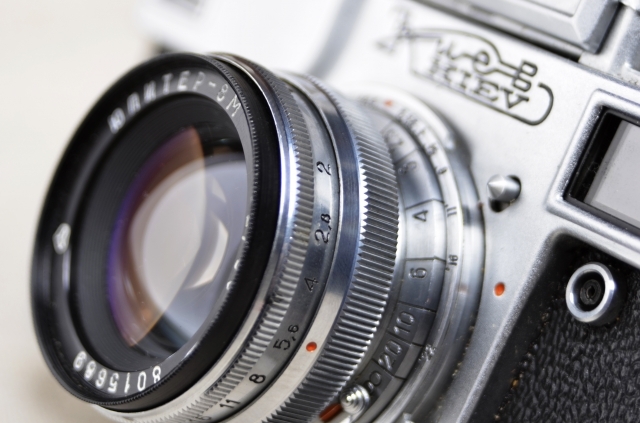 Your camera will have certain features that improve your photographs more or less automatically. For example, you can turn on a grid system that will separate your photos into fours, or sets of threes. This gives you framing assistance so you can find the perfect angle for a more engaging shot. The HDR function improves elements light auto lighting and quality. Flash can be turned on or off to improve visibility. Touching the screen on the primary subject will bring it into focus more than the background. Outdoor and moving shots can be selected to adjust the camera accordingly. Know what your camera is capable of. You can create awesome photography with your phone too! Many professional photographers use an iPhone camera! Some Android phones will work for that too! Even if you don’t have a fancy phone, this site has a nice solution for you! Of course, you don’t have to do the photos yourself. Plenty of photographers out there will work for a rate within your budget if they are able to use you as a reference, and the images as a portfolio piece. They may also require mention on the site that they were the original photographers. Investing some money in a professional (or talented hobbyist) can pay for itself in dividend. So consider it. Any more ideas on creating cool images for your site? Please share them in the comments! Do you have a dedicated social media reporting app? If the answer is no, I have only one question for you: how are you getting through the day?! Social media campaigns are no longer just a matter of posting links and offering news of specials. 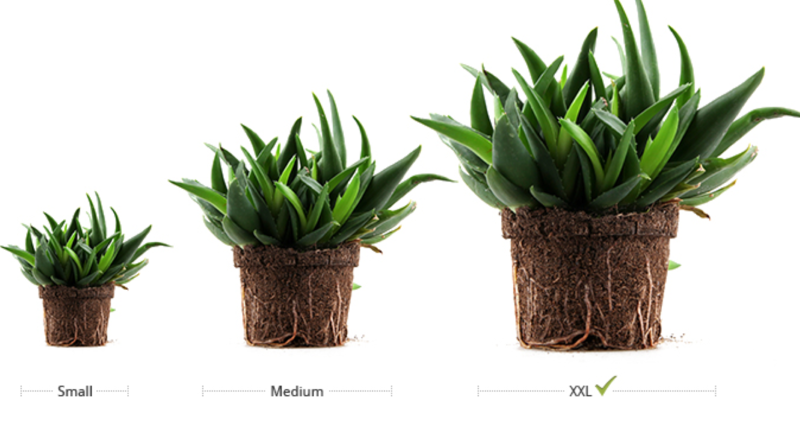 You need to really stand out, and that takes time, energy, and a ton of data. Not only for businesses, but just for blogs and personal brands as well. Without the proper information at your disposal, you don’t have a chance. These are the ten social media reporting apps you can’t afford to go another day without using. SumAll: This isn’t just a social media dashboard, it is also an ecommerce monitoring tool. So if you want something more well rounded than analytics, it can be a great option for your business. it is all based around leads and conversions, unlike many other platforms that are purely about social growth. The two pronged approach makes it an effective tool for using social media in the way it is best utilized: as a way to build a customer base, not just your clout online. Agorapulse: Just need a simple (but good) social media manager? Agorapulse is compatible with three platforms: Twitter, Facebook, and Instagram. Which are going to be the three primary social networks for most businesses anyway, given their ever growing list of features aimed at companies. You can get detailed reports, manage all messages from a single dashboard, and launch both contests and promotions customized to fit your needs. After the free trial pricing starts at $24 a month, with plans up to $199. But they also have three free tools: Facebook barometer, contest manager, and a Facebook Marketing University course. Sprout Social: One of the bigger names in social media analytics, Sprout Social is a complete management software that can be compared to other giants like Hootsuite. Used by many major brands, such as Dove and UPS, it covers all your social bases from planning, to scheduling, to posting, to analyzing. They have a smart inbox, live monitoring, tracking, social CRM, analytics, team collaboration, and other features you would expect from such a large scale dashboard. Pricing can be a bit steep, starting at $59 a month. But if you are running a branding campaign, it is worth it. Cyfe: This is probably the most impressive tool to come out in a long time. Cyfe is a full business monitoring platform that aims to handle literally every possible avenue of your online engagement and tasks from a single service. That includes social media, analytics, marketing, sales, customer support, and infrastructure. But what is more incredible is the price. The basic features are free, but you will want Premium. For $19 per month (or $14 if you pay annually), you get unlimited everything, and access to all of the monitoring software for what was listed above. Social Report: Just want social tracking? Social Report is a great metrics tool that shows all of your social accounts in cross-platform reports that show you progress on all of your projects. They also have team collaboration and backup tools, so you and your social team can track progress over time and make decisions accordingly. All of their plans also have wider web analytics, which can be helpful in giving you a fuller picture. Hootsuite is a mixed bag. On one hand, there is no denying it has become a powerhouse in analytics and social management. But it is also one of the more expensive, and the credit system it uses is annoying. For example, you get some very basic reports as part of Pro, but others have to be purchased with credits that can only be bought in bulk, and so cost hundreds to replenish. Not really an option for small operations. The good thing about it is the many features it provides. Their tools are very in depth, so much so that they have dozens of webinars exploring what can be done on their platform. Simply Measured is usually mentioned on lists less for their premium features, and more for their free tools. They have a long list of them, and are also one of the few platforms that offers monitoring capabilities for Google Plus and Vine. In fact, you can incorporate quite a lot of services in with their free tools, and end up with a great system without spending a penny. Which is good, because their premium tools start at $500 per month. They are a full social analytics and solutions company and tend to work with larger businesses as a result. If you can afford them, they are worth it. If not, their free tools are excellent. Raven is the marketer’s ultimate tool. While it has plenty of analytics features, scheduling and more, it is much more focused on creating extensive and beautiful reports that show clients and bosses how things are progressing. It is a social analytics tool made to make you, the marketer, look good. So while it is practice, it is also a bit of a job-justifier. Tailwind: Pinterest has been pretty stingy on sharing their API. They don’t want a lot of competition for their analytics and marketing tools, which are frankly not good enough to stand on their own, yet. Tailwind is the last standing Pinterest monitoring and marketing tool, and luckily it is a good one. It can also be integrated with Hootsuite using the third party app selection, so you can monitor it from there. Keyhole: Most people who use Keyhole know it for its real time hashtag tracking. But it also has historical data, influencer identification, and a few other features that make it a great platform for Twitter campaigns. They have short term campaigns available, which make it a unique monitoring tool, and attractive for special events like conventions that don’t need year round campaign management. Monitority: A cool free tool monitoring your site uptime. For uptime stats, check out this Industry stats page. Commun.it is a great monitoring tool keeping an eye on your most important Twitter interactions. Have a tool that belongs on this list? Let us know in the comments!